"Deference of the Women's Reservation Bill is BJP has gone back on its primary manifesto promise for women. And it was only the beginning," he said. 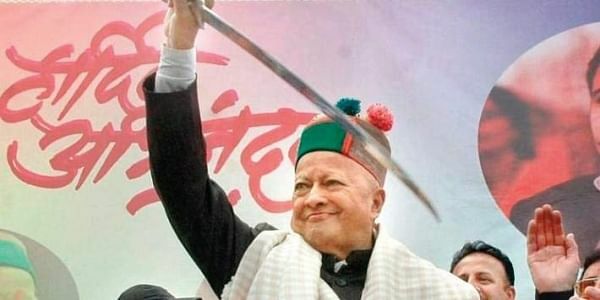 SHIMLA: Himachal Pradesh Chief Minister Virbhadra Singh on Sunday slammed Prime Minister Narendra Modi for not moving the stalled Women's Reservation Bill, accusing him of betraying the "nation builders". "Once hailed as ‘nation builders' by PM Modi, the already marginalised Indian women have been most brutally betrayed by the BJP government," the Chief Minister said attacking the Bharatiya Janata Party (BJP) central government in a series of tweets. On September 21, Congress President Sonia Gandhi urged the Prime Minister to urgently pass the Women's Reservation Bill in the Lok Sabha where the BJP has a majority. In a letter to Modi, Sonia Gandhi said: "You may recall that the Rajya Sabha had passed the Women's Reservation Bill on March 9, 2010. Since then, however, it has languished in the Lok Sabha for one reason or another." The Himachal Pradesh Chief Minister also referred to the Panchayati Raj Bills passed in Haryana and Rajasthan in 2015, fixing educational and other qualifications for the candidates contesting Panchayati elections. "Then came along arbitrary conditions on educational qualifications for contesting panchayat elections in Rajasthan and Haryana. Anti-constitutional!" According to the Rajasthan Panchayati Raj (amendment) Bill, 2015, a candidate should be Class 8 pass for the post of Sarpanch -- except in tribal reserved areas, where the minimum qualification is Class 5 -- and Class 10 for Zila Parishad or Panchayat Samiti elections. While in Haryana, matriculation is essential qualification for general candidates contesting the Panchayat elections while the qualification for the women (general) and Scheduled Caste candidate will be middle standard (Class 8). Virbhadran Singh flaunted Himachal's women literacy rate, claiming ut was higher than the national average. "Meanwhile in Himachal Pradesh, female literacy of 75.9 per cent exceeded national average. Sixty-four per cent women constituted workforce, highest in India. True empowerment!" the Chief Minister added. Votes for 68-seat assembly in Himachal Pradesh will be cast on November 9 and the counting will take place on December 18.